KANSAS CITY, Mo. 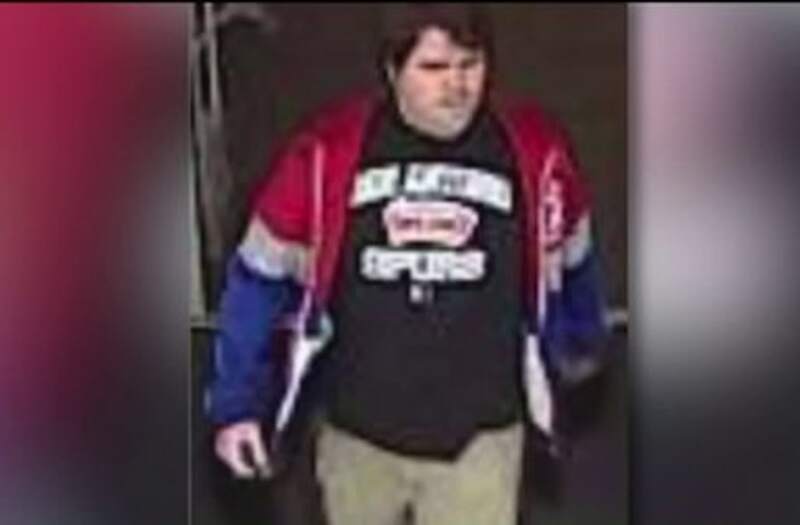 (WDAF) -- A Northland mom is warning women after she said a man took a cell phone picture of her in a Target dressing room. The woman said she was swimsuit shopping when the trip turned into a personal violation. The woman, who didn't want us to share her identity on camera, said she was shopping at the Target off NW Skyview Ave. last Thursday. "I went to Target to get some swimsuits for a trip to Florida this past weekend," she said. She said her son and husband were in a different part of the store while she spent about 10 minutes looking for a swimsuit. She made her way to the dressing rooms and had put one of the suits on when she saw a hand reach under her door. "I saw a phone underneath the door and heard the click and saw the flash. It went through my mind so fast and it was just a reflex to scream," she said. The mom said she yelled for help, got dressed fast, and ran looking for him. "I couldn't find him. Stopped an employee, they said they were looking for him. I found my husband and son and told them what was happening," she recalled. A Missouri mom says she was trying on swimsuits at Target last week when she saw a hand reach under her door and the flash of a cellphone camera. Police came and took a report, but without an arrest yet, the stay-at-home mom has more questions that answers. "Has he done it before? Does he do this all the time? Are there kids involved? We go there all the time, me and my son. We go there just to get out of the house, you know? It's the last place I thought something like that would happen. You see it on TV all the time, but you don't think it's going to happen to you." When FOX 4 showed her the photo of the man caught on surveillance camera while walking out of the store, she said: "Yep. That would be it. So creepy. That is just so creepy. I just feel so violated." She worries the guy with the phone is calculating and might have done this before. "I almost wonder if he was following me around to see what I was shopping for. I'm sure he didn't just walk in Target and say, 'This is what I'm going to do today,' you know? That's not somebody that has a right mind," she said. If you know anything about this man or where he might be, call Crime Stoppers at (816) 474 - TIPS. You don't have to give detectives your name.